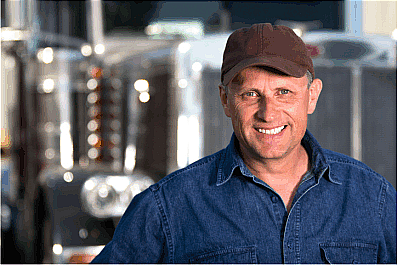 Choose from the largest selection of semi truck radios. When you purchase a radio from BRS not only do you get a great semi truck radio you get a FREE professionally wired truck radio harness to connect it to your truck as well as a set of radio keys to remove that old radio. We will also hold your hand by being there by phone with a TEXTME connection for any questions you might have during or after the install. How great is that ! •This Pioneer MVH-S310BT Single-DIN In-Dash Digital Media Receiver with Bluetooth not only can provide hands-free calling and wireless music playback with a paired smartphone, it also has Pioneer's Smart Sync Technology which adds special features to that smartphone. Since the MVH-S310BT does not play back any kind of video, the Smart Sync app transforms a compatible, paired smartphone into a touchscreen receiver display! The MVH-S310BT also has 2 sets of RCA preamp outputs and a full-featured 13 band EQ for the premium sound quality expected of from Pioneer. Installing this mechless car stereo head unit in a wide variety of applications is easier than ever because of the chassis' depth is less than 4 in.! KILLER RADIO "Has it All"
Aux input 3.5mm Aux input, front panel of radio. Electronic Volume Control (Rotary Encoder Knob), volume levels are retained, in radio memory. •Full seven-channel NOAA weatherband tuner with S.A.M.E. • RCA Aux input pigtail (ADD JPORTG for easy access. • Channel lock, SHORT CHASSIS RADIO 3"
Rear Channel Pre-amp outputs SHORT CHASSIS 3"
Mouse over icon to view feature. If you are adding a Pioneer Double Din radio to your truck that does not already have one you will need this kit. Fits Pioneer radio only. • Channel lock SHORT CHASSIS RADIO 3"
Rear Channel Pre-amp outputs, Short Chassis 3"
If your truck has a factory satellite antenna in place, you can use this adaptor to connect to the Jensen Satellite Tuner. Examine the factory antenna end connector and you should notice a green connector on the antenna coax end. That connector plugs into the factory radio but now it would plug into this adaptor. As stated above if you are adding a Double Din radio to your modified semi truck you will need a way to secure it to the dash. There is no truck specific kit made for this. You can use a DD sleeve to secure it to the dash even though you DD radio did not come with one. BRS has a universal kit that should fit most double din radios. Adding your accessory when you first do the install will save you precious time and makes the completed install less chance for shorts and failures by not having to open up the install again..